Police have praised a member of the public for notifying them of the whereabouts of a stolen car that had been abandoned in the region. 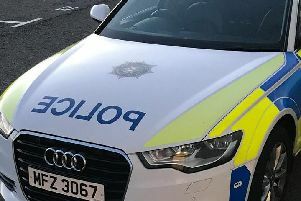 Police had issued an appeal on June 7 after five cars had been stolen during burglaries in Moira and Newtownabbey. Thanking the “eagle eyed” member of the public yesterday after one of the cars had been located, a police spokesperson said: “We would like to thank the ‘eagle eyed’ member of the public who, following our appeal yesterday in relation to a number of stolen cars, let us know where one of the cars, a Skoda Octavia, had been abandoned. The police spokesperson added: “We are still looking for the grey Audi A3 – so if you see it, please give us a call on 101, quoting reference 106 07/06/17.